This chapter reviews the information on contaminants in Arctic ringed seals available till 2013. 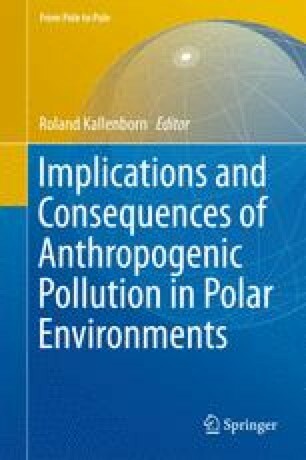 We have limited the contaminants to persistent organic pollutants (POPs), mercury (Hg), and cadmium (Cd) because the majority of studies have focused on these and they represent the contaminants of greatest concern both for the seals and for the exposure of humans consuming harvested seals. To provide proper context for this review, we have included information on transport pathways and food web bioaccumulation of contaminants.